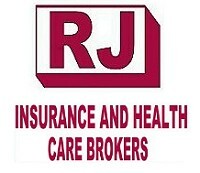 For all your Insurance requirements. Elgro Insurance Brokers are authorised financial services providers representing Old Mutual, Sanlam, Liberty Life and Mutual & Federal, Discovery Life. Endowments, Lump Sum Investments, Unit Trusts, Educational, Life Policies, Retirements Planning and Hospital Plans. INDWE Risk Services is South Africa's Premier Insurance Brokerage with 26 branches country wide. We are well positioned to give expert advice on Comprehensive Cover for Motor and Household as well as Corporate and Commercial Insurance. Our Value-added Services include  Roadside Assistance  Directions Service  Home Assistance  Legal Assistance  Medical Emergency and Ambulance Service  Guaranteed Hospital Admission.